Being the hipster that I am (not), I went to check out Toffie Pop thanks to some tickets from Bow Peep. And flip, there is a whole other Cape Town fashion scene where people are super creative, outlandishly arty, properly talented and sometimes a little strange. I only got a chance to have a look at the art exhibitions and the market but I was really impressed by what local Capetonians are doing in pursuit of a trend-setting art culture. Leila does a whole range of quirky-cool-pretty things including fridge magnets, buttons, brooches, alice bands, earrings and hairclips. Man, these guys make cool stuff – I mean just check out their online shop for furniture, design and apparel – the bags at Toffie Pop were masculine and expertly crafted. I couldn’t think of a man in my life that was currently in need of a man bag – but they were so awesome I was tempted to buy one for myself!. 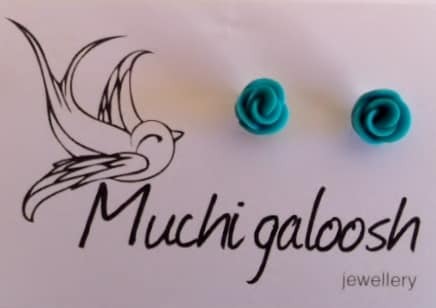 Such pretty jewellery and amazing attention to detail at Muchi Galoosh! I’ve been on the lookout for a pair of these poly-something-or-other earrings – they are handcrafted by Michelle, rose petal by rose petal. 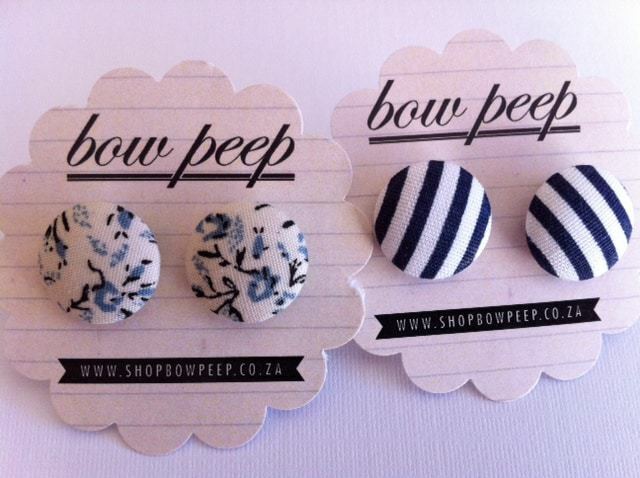 And today was my lucky day (I’m wearing them as I type now) – I mean look at them – they are just so pretty! Apparently, if you look at them closely, you can see Michelle’s fingerprints – I can’t vouch for this because they are in my ears but I’ll check and let you know. Toffie Pop is on again tomorrow (Sunday 01/04) and is well worth checking out – especially if you need an education in Cape Town Fashion and all things Hipster or need to express your inner child (jumping on a jumping castle and eating free ice-cream). Tax Day restaurant deals, freebies and specials – Eatocracy – CNN … – Feeling flush this Tax Day and looking to blow your whole refund on a single meal? You’re in luck, because Triomphe restaurant in New York City is hosting a 12-course “Great Write-off” dinner at a mere $1040 a head. Bringing the bling to Constantia | SLIVER– Bringing the Camps Bay Strip to Constantia would not be everybody’s idea of well, a good idea. But that’s what the Atlantic Seaboard’s Mr Bling, Paul Kovensky, decided to do. The aforementioned strip’ is a jangle of bars and restaurants which have turned the once quiet Camps Bay seafront into coolth personified. Explore fun things to do in Cape Town, things to do with kids and keep updated with what events are happening each month. You can also view our article on 29 Things You Must Do In Cape Town At Least Once In Your Lifetime.